Following my meeting with the Interior Educators at the RCA last week where we entered into discussions about the future of interior design education, I thought I would include in my blog, my paper, that I wrote for my PGCE this year, which was written when I was teaching on the Foundation Degree. I feel very strongly about the future of design education in this country, mainly due to my role as a lecturer (now teaching at BA level). Each year I see more, and more students at 18, struggling with degree courses and could be attributed to the fact that design education at secondary level is in the decline. So even if you don’t have the energy to read through my paper please sign the petition to save creativity in education. In December 2011, the Coalition government published their report, ‘Innovation and Research Strategy for Growth’, which describes a vision for boosting business investment through innovation, with the hope of encouraging global success in the UK economy (Department for Business Innovation and Skills, 2011). This has sparked a number of supporting reports such as ‘Design for Innovation, 2011), that contests that design and creativity should be an integral part of the Government’s plans for economic growth. The future therefore could be characterised as appearing more optimistic for designers such as myself, teaching those pursuing a career in Interior Architectural Design. In respect of teaching the Foundation Degree in Arts (FDa) in Interior Architectural Design, which is categorised at Level 4 and 5 in the National Qualifications Framework (Avis et al, 2010), I have had the experience of teaching three groups over the last two and a half years in two institutions. A key facet of this paper is to discuss the relevance of the introduction of New Labour’s ‘vocational FDa’ in the discipline of Interior Architectural Design and discuss how the FDa curriculum offers a different skill-set to other higher qualifications. This paper also discusses how the pedagogical approach of the FDa is addressing the development of fundamental design skills in creative-thinking, literacy and professional communication. In conclusion, I will suggest strategies based on my findings on how design education will have to develop to respond to new government strategies and industry requirements and what measures are to be taken to ensure we, as design educators, deliver a curriculum that is fit-for-purpose. A much needed innovation and cultural change to the higher education sector, including greater appreciation by providers of the requirements of employers and a need to develop and adapt courses swiftly and effectively to generate employability skills. (fdf, 2008.p.3). Since it’s introduction, there has been a significant decline in other vocational level 5 qualifications, noticeably the HND and HNC, reflecting the growing popularity of Foundation degrees in attracting students wishing to study part-time, mature students and those wishing to use it as a stepping-stone to an honours degree. A key feature of the FDa was to have input from employers, assisting in the development, review, deliverance and assessment of this programme. In the Leitch Report, it was further highlighted, as a new type of “employer led provision” (Leitch, 2006. p.77), which was set to see our skills sector strengthen. In 2010, a survey revealed that 51% of designers had a degree level qualification (Design Council, 2010). Even though it is not essential to have any form of qualification to work within the discipline of Interior Architectural Design, it is considered to be the norm. The majority of employers in the field are keen to see evidence of a diverse set of skills within a portfolio of design work, however the average route into a career in interior design is currently very narrow- school to undergraduate level and possibly postgraduate (Design Commission, 2011). In today’s industry, employers still recognise a Bachelor’s degree as a seal of excellence in design education. The current arguments that come from the design industry, suggests that young designers entering into the workplace with a Bachelors degree may demonstrate high levels of creativity but have generally not obtained the relevant technical and work-based skills needed to survive within a very competitive industry. (Design Commission, 2011). The pedagogical approach to the FDa Interior Architectural Design, two year curriculum, introduces students to the traditional methods of technical hand drawings skills, developmental sketchbooks, current industry practice of Computer Aided Design (CAD) and 3D visualisation, work-based skills (WBL) and personal and professional development (PPD). Creativity is encouraged through research at ‘concept’ stage, by sourcing inspirational imagery. This begins the design process. Through the production of sketchbooks, the development of design is monitored so, upon assessment, we can see how a student has arrived at their final design scheme. In the workplace however, a designer rarely has the luxury of creating such a creative workbook. But the concepts behind improving sketching ability, will allow a designer to feel confident with interpreting their ideas quickly and effectively, without the need to use modern methods such as CAD. In my experience, the FDa in Interior Architectural Design places strong emphasis on developing work-based learning (WBL) skills within the curriculum, with four modules for WBL and PPD delivered over the two years. These can be embedded into ‘live briefs’, in which we, as tutors, construct project briefs based on existing buildings. This ‘live brief’ encompasses one semester and has proven to be successful in embedding functional skills in literacy and numeracy, to those students that may have struggled had they opted to study at bachelor degree level. To develop skills in research, setting clear objectives, action planning and presenting a report. It offers students the opportunity, in co-operation with the organisational client, to access information and resources to tackle work-based issues that is related to modules currently being studied in the programme and of relevance to the student’s employment and career. This is a much-needed skill within the industry, as the need for written documentation as letters, emails or reports, is a demonstration of a professional level of articulation expected in a designer. Since the days of art and design degrees being delivered in Art colleges or Polytechnics, these institutions always embraced creativity. This has continued within some higher education institutions, where the onus is on enhancing innovation, creativity and research, however, within the written curriculum of FDa Interior Architectural design, creativity is only highlighted within the first four modules, where learning outcomes underpin a “broad range of skills essential and in context of Art and Design” (Leeds Metropolitan University, 2007). Jackson, highlights that problems occur in higher education, as creativity upsets the “Status quo as we teach students to unlearn the compliant habits they have acquired through years of formal education” (Jackson et al, 2007.p.208). In support of the curriculum of the FDa, I would say that as tutors, we put onus on being able to demonstrate the ability to conceptualise through drawing, whilst emphasising the importance of being able to present those ideas both verbally and written, bringing the knowledge-based understanding together with creativity. Without this important exercise, students do not have the ‘experience’ and are only witnessing a formal curriculum (Kelly, 2004). Upon final assessment, students are required to complete all 15-credit modules. The criteria for assessment, is that all the learning outcomes are met. I would argue that the assessment process solely focuses on the objectives defined by the learning outcomes, as opposed to the subjective content of the design project. In other words, are their designs showing innovation and creativity and do they adhere to current UK building standards? This is my criticism of the Leeds Metropolitan degree, which I feel is out-dated, unchanged since 2007, and has therefore not responded to social, economic or cultural demand of recent years. Courses appear to be written, but not developed, and it could be argued that the original remit of the FDa of industry shaping and inputting into the content of the courses is not being fulfilled. The Design Commission, in their ‘Restarting Britain’ report, focused upon the need for reform for design education and growth. They highlighted the fact that if design courses have a loss of all vocational pathways it would be lamentable, “especially as design is, at heart, an applied discipline” (Design Commission, 2011.p.13). There have been many criticisms over the intermediate vocational, foundation degree curriculum from both the industry and from educators. The current pedagogical practice on the FDa Interior Architectural Design programme, centres it’s deliverance of modules through ‘live briefs’, lectures and tutorials. In my opinion, there is a need to establish ‘peer-to-peer’ learning through Studio Practice. This needs to be compulsory to the curriculum with credits awarded for engaging in ‘Studio Culture’, to widen their design development. This would help to embed Lau’s six factors of creative-thinking within the FDa curriculum, to encourage their creative ability (Lau, 2009). Design Lecturers, also need to ensure that they are aware of, or in current practice, as to maintain specialist Continual Professional Development as to be in line with their colleagues teaching on Bachelor degree programmes. To enable the transition from the FDa to the workplace, we have to make moves to establish connections with local creative industries, and introduce work-experience as part of the curriculum. We as tutors can encourage creativity as part of the design process, teach relevant IT, literacy and communication skills but we are unable to cover relevant skills that can only be learnt ‘on-the-job’. The Foundation degree, sells itself as a vocational course but not in all instances does it adhere to this. If we were to treat this form of qualification as a form of ‘higher’ apprenticeship scheme, allowing local creative employers to have direct involvement in the curriculum, by taking on students during their studies, this would see a vast improvement in the calibre of FDa students that we are releasing post programme. This would increase the reputation of the FDa and would see an increase in competition with their peers studying on a Bachelor’s Degree. For one of the key selling points from those applying for jobs, is relevant work-experience. This would offer the FDa a unique selling point to employers. The success of our workforce of young designers can only be achieved, if we ensure that design education is delivering current trends and practices reflecting current technological advancements. The UK government’s new initiatives to establish the UK as a country for innovation, will fair well for the popularity of the design courses and will hopefully become a further driving force for the development in design education, as innovation becomes a recognised commodity. With the option of many alternative routes into higher education in design, we will therefore, hopefully, be delivering a workforce with varying sets of skills, to enable us to compete globally and strengthen our reputation for being a country delivering ‘design excellence’. Amsterdam. A view through a window. Well I worked out whilst on the flight back from Amsterdam , that the last time the hubby and I took a weekend out to go to a city destination, without kids, was five and a half years ago!! So when the offer of a grown-up weekend away came up, I opted for Amsterdam as I previously loved the city and it has been nine years since my last visit. We were keen to ‘walk’ the city. Find hidden treasures off the beaten path. Explore more of the dutch way of life than we had done on our previous visit. For a life time has happened since then our tastes and interests have developed and matured (I hope). On our previous visit we had read through the guide books and visited The Anne Frank Museum which is an amazing experience and I was blown away by the exhibition, even more so than the Jewish Museum in Berlin. The Rijksmuseum was also top of the check list when visiting Amsterdam. However this time, we opted to spend time wandering through the city and admiring and adoring the architecture, the shopping and the food. I find Amsterdam a very romantic city and I think this is down to the culture. Stepping aside from the Coffeeshops and the Red Light District, which indeed have there own form of beauty. The canal walks, the bridges, the art, the houses (new and old), the food and the friendly nature of the city, makes for a less hectic city break. Even their modes of transport, the tram and the bike, are far more eco-friendly, even if I thought I was going to be mowed down by one of them. I adore the architecture of Amsterdam and whilst on our walks I found myself, doing what I do best, which is looking in the windows of the houses and apartments. I noticed that a lot of the houses, with their large ground floor windows have double height spaces, and therefore the interiors are awash with natural light. In some instances the spaces have been divided into a mezzanine level, maximising the use of the high ceilings. Walls were covered in floor to ceiling of books and there was always evidence of some design classics and large pieces of art. I couldn’t help but wonder if ‘looking through windows’ is something that all designers can’t help but do. In a way it’s like research. I am also a bit of a daydreamer and like to imagine the lives that are led inside these house plus I always like to imagine what it must be like to live in a building on a canal. Where land is at a premium, these houses and apartments don’t come cheap, therefore, I’m guessing that the residents spend time designing their homes and their lives. Just observing the dutch way of life, it seems far more relaxed than that of my own. Leaving me feeling envious. But the grass is always greener and it’s only my assumptions based on a view through a window! After much deliberation, I made the decision to study for my PGCE ( teaching qualification). With a year’s teaching under my belt, I am now in the position to say, that I enjoy it, am passionate about it, and want to continue down this career path. That is not to say that I am abandoning my professional practice, as this is where my true passions lie. But if this financial instability has taught me one lesson, is that you should diversify, be a master of a number of trades for relying on the world of construction, architecture, design, art etc; is simply not enough. So I have now started the two years of hard(er) graft to gain that all important qualified teacher status begins but the last time I was in higher education was 11 years ago. My life is somewhat different now. I am older, wiser, responsible for two children, one husband, a cat, a mortgage and a design consultancy. 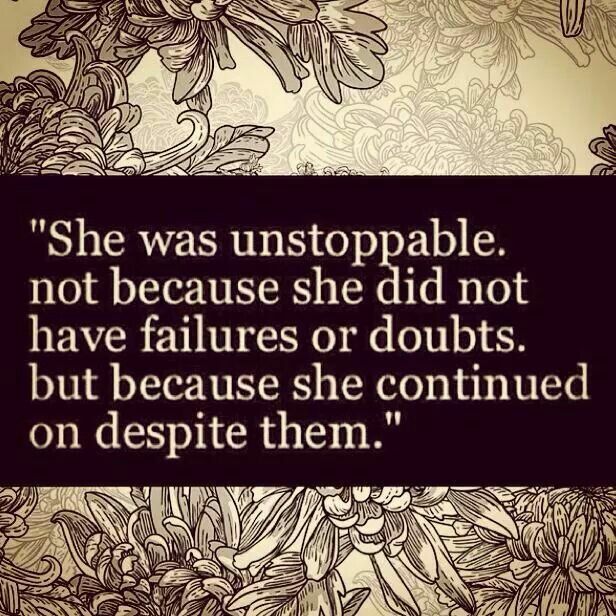 But hey-ho, others have done it and triumphed and I hope to do the same . . and report back!!! Penelope Tiffney of Spatial Designers was appointed by University of Leeds in 2008 to provide the interior design scheme for the recently completed Storm Jameson Court – a luxury 460 en suite student residence on campus. This new state-of-the-art accommodation replaces the former Charles Morris Halls, which was demolished in 2009. In its place, Storm Jameson Court will provide facilities for both students and conference delegates throughout the year. The new interior design scheme has revolutionized student accommodation as we know it, immeasurably enhancing the standard of living for its residents, the first of which will be arriving over the next few weeks. With high specification, contemporary finishes and fixtures throughout, including modern furnishings and intelligent colour and lighting schemes, Storm Jameson Court is light years away from the university digs of the past. 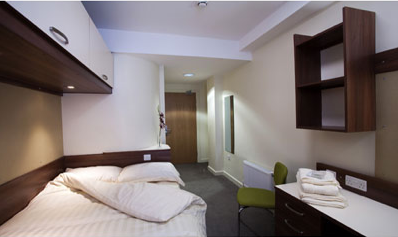 This development offers exceptional quality and sets the president for all student accommodation. The 24 hour reception, with its Altro Digiclad image, adds impact on entrance, leading onto a lounge complete with sun terrace. This student common room has the feeling of elegance and luxury, offering both café style and low, soft seating with a 52” LCD screen, hot desking and games area. The traditional cluster flat arrangement has been replaced with hotel-style corridors, accessed with programmed key fobs. Upon entrance to each bedroom, Spatial Designers has created a unique, purpose-designed bathroom pod, built by Walker Modular, which are curved externally with a white gloss interior and contemporary sanitary fittings, glazed shower cubicles and Altro Timber safe flooring. The contemporary look of the built-in bedroom furniture has been designed to make best use of the space, displaying maximum storage both above and below the double bed, while the floating desk allows a complete view of the full-length window with its desirable coloured glass pane. Meanwhile the kitchen area boasts walnut furniture, muted tones and bold feature walls. The accommodation also fully facilitates students with varying levels of disability with 26 rooms assigned to accommodate disabled students. The project was completed as a design and build contract by Morgan Sindall. Penelope Tiffney of Spatial Designers, is a Harrogate based Interior Design Consultancy, established since 2004. She has been responsible for the design schemes of a variety of projects in the UK. In 2006 she completed the interior scheme for Titanic Spa, Huddersfield, 1 Sekforde Street business centre, Britannia Row business centre, Islington and Clerkenwell and a portfolio of high profile residential projects in London and the South East. The Storm Jameson Project for University of Leeds is the first of many student residences for the Spatial Designers Portfolio.